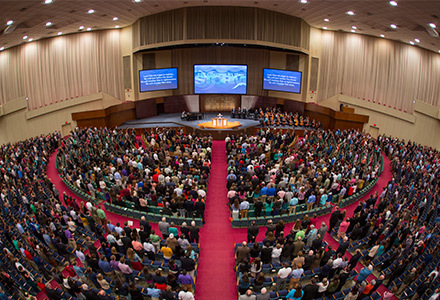 At BJU you’ll find faith and worship woven into every part of your student experience. You’ll learn how everything—from learning about ecosystems in biology to singing in Thanksgiving prayer services—points to God and His worthiness of all praise. Through chapel, the entire university is challenged to know, love and serve God with all that we are. 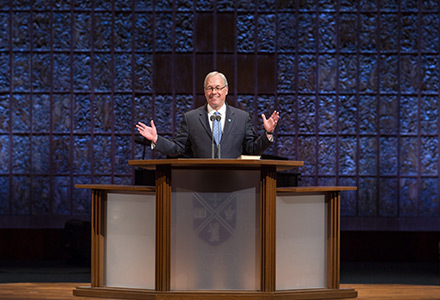 We meet to hear messages from President Steve Pettit, faculty members and guest speakers. As we explore themes such as “Live Worthy of the Gospel” and “Wisdom from Above,” our understanding of the truth of Scripture is solidified. As we build our confidence in God and His word, we’re also encouraged with practical ways we can obey Christ and serve others. Besides chapel, there are many other opportunities to gather with your fellow students for prayer and worship. If you live in the residence halls, you’ll meet regularly in discipleship groups to pray and dig deeper into the semester’s chapel theme. 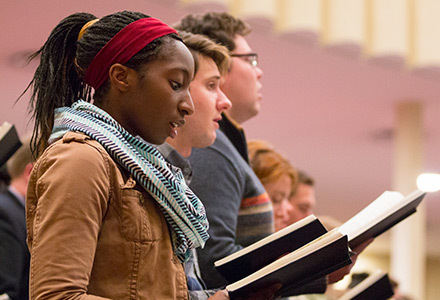 When student leaders organize prayer and worship events for the student body, you can volunteer to serve as a musician, as part of the set-up crew, etc. Your society will hold weekly prayer meetings where you’ll be able to share each other’s burdens and grow closer in Christ. Through the student-led Missions Advance, you’ll have opportunities to learn more about what God is doing around the world and pray for the advance of His kingdom. Even in your classes, you’ll be reminded of your dependence on Christ as your professors open each class period with prayer. Getting involved in a local body of believers is vital to your growth in Christ, even at a Christian college! In the Greenville area you’ll find dozens of Bible-believing churches, from large to small, that you can become a part of. Look for a place where you’ll hear God’s Word presented clearly and completely, and where you’ll have opportunities to build relationships and serve others. Wherever God leads you, you can be encouraged by and give encouragement to your brothers and sisters in Christ. 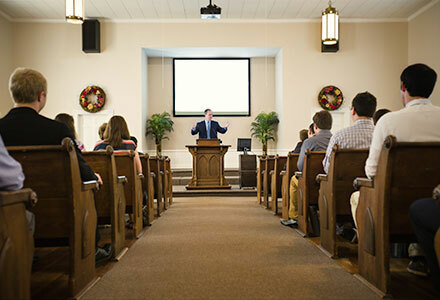 Each spring semester, the whole university takes a break from classes to enjoy several days of preaching, singing and fellowshipping. Guest speakers preach on a theme chosen by President Pettit, such as “The Sufficiency of Christ,” giving us a chance to refresh our spirits and redefine our priorities. Each year we also raise funds for a special project, from renovating student spaces on campus to supporting church planters.